This is digital meter for Home and Offices where you can see Monthly Electricity used bill , Ampere and Watt. 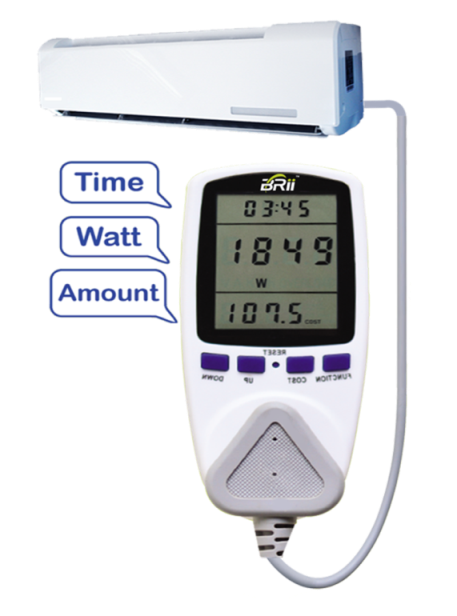 BRii introduce socket plug-in Digital Ampere Meter, which will make it very easier for you to monitor your home/office appliances Watts(W), Ampere(A) & Bill Amount(Cost) in real-time. How many ac do you know about ac BTU?? ?